Why does anyone think this is funny? Recently someone suggested we show YouTube videos of turkeys during the 46millionturkeys event that takes place at Harlow Gallery in November. She went on to say, “You know there are probably a lot of silly videos with turkeys because they are such comical animals.” I simply responded, “Well, we’re trying not to reinforce that misperception people have of turkeys.” This person clearly doesn’t get what the 46millionturkeys project is all about. 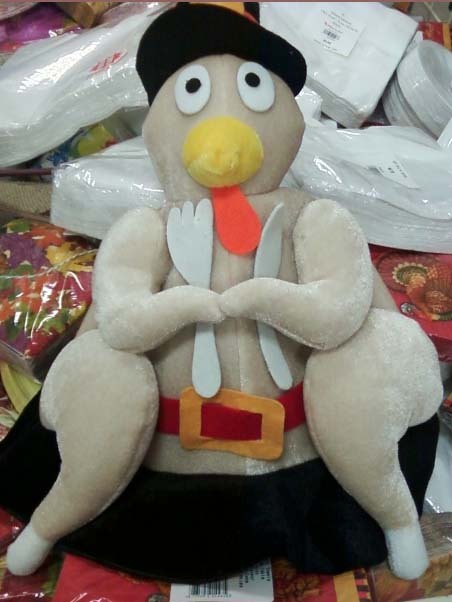 Please represent your turkeys with dignity. Denigrating, making fun of, and laughing at others is only a reflection of our insecurities, short comings, and diminished self-worthiness. When our perception of another is veiled with disrespect it becomes easy to be indifferent to the feelings, needs, and desires of that individual. 46millionturkeys is about representing turkeys worthy as subjects for art and appreciation. Crossing a river: “The old and fat birds easily get over, even should the river be a mile in breadth; but the younger and less robust frequently fall into the water, – not to be drowned, however, as might be imagined. They bring their wings close to their body, spread out their tail as a support, stretch forward their neck, and striking out their legs with great vigour, proceed rapidly toward the shore; on approaching which, should they find it too steep for landing, they cease their exertions for a few minutes, float down the stream until they come to an accessible part, and by a violent effort generally extricate themselves from the water.” – John Jay Audubon, 1831.